All rights with respect to the music downloadable from this site are reserved. The music may be used for private purposes, but may not be multiplied, distributed, played in public or modified without prior consent from the copyright owners. Akordo is an eight-person a cappella choir, whose repertoire is made up of four-part music from many different countries and in a variety of styles, ranging from medieval to modern and from folk to pop music. What makes Akordo special is the language in which the group sings its entire repertoire: the international language Esperanto. 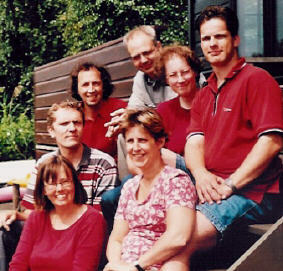 Akordo was founded in 1988, and presented its first public performance at an Esperanto gathering in the Netherlands in 1989. The first concert in an international setting took place in 1992, and Akordo's first CD album, Muzikpluvo, appeared in 1996. Although a few of Akordo's songs were written originally in Esperanto, the group heavily relies on translations from other languages. Songs are translated by Akordo members, especially Arjen-Sjoerd de Vries and Saskia Idzerda, or -- more frequently -- translations are supplied by various friends of the group, Roel Haveman being foremost among them. Just before Christmas 2003 Akordo recorded a Christmas album called Kristnaska kordo. This album features 25 carols, all of them translated into Esperanto, in a variety of styles and from several different countries. Some English ones: Ding dong! merrily on high, White christmas, Coventry carol. All MP3 files listed above represent links to our web pages at MusicExpress. 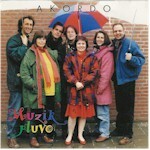 Akordo's CD album Muzikpluvo appeared in 1996 and includes 25 songs. Click here here for a review (in Dutch). 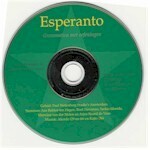 In 1996, Vinilkosmo/Eurokka published a collection album featuring a wide variety of Esperanto artists. Akordo contributed Venko, venko!, a mildly ironical song making fun of the traditional "Esperanto - second language for all" ideology. This hefty grammar for Dutch Esperantists was written by Roel Haveman (prolific song translator for Akordo) and Arjen-Sjoerd de Vries (bass in Akordo), and was published in 1999. The book comes with a CD which includes pronunciation exercises as well as two songs by Akordo and one song by the Kajto ensemble. Akordo songs on this CD are "La sieĝo de Bergen op Zoom", also featured on the CD Muzikpluvo, and the Esperanto anthem "La Espero", recorded specially for this CD. 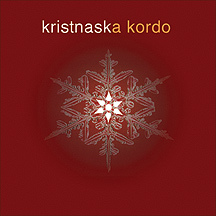 In December 2003 Akordo released a Christmas album "Kristnaska kordo". Akordo is singing 25 carols, all of them translated into Esperanto, in a variety of styles and from several different countries: Great Britain, the United States, the Netherlands, Germany, Venezuela, Ukraine, the Czech Republic, France, etc. This album is available through several Esperanto bookshops including UEA, FEL, Vinilkosmo, and EsperantoLand.